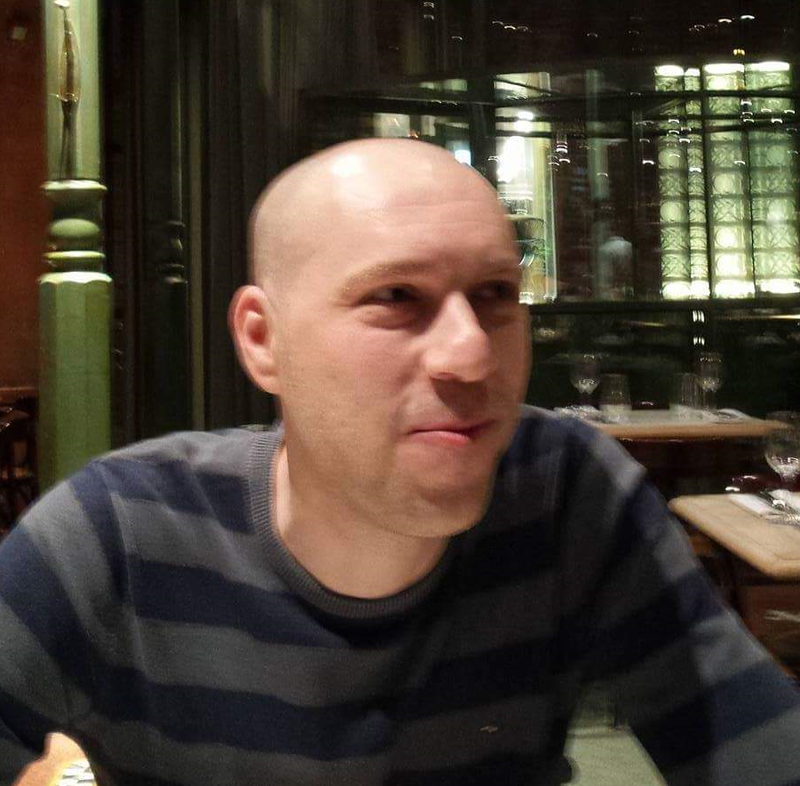 Sven Van Melkebeke is affiliated to the Department of History at Ghent University (Belgium) where he recently completed his PhD thesis. His main interests are the development of commodity frontiers, labor, rural and environmental history with a primary focus on Central Africa during the colonial period. Framed within world-historical theory, this PhD thesis investigates and compares the development of the coffee sector on both sides of Lake Kivu in the Eastern Congo and Western Rwanda during the colonial period focusing on land and labor mobilization and commodification. 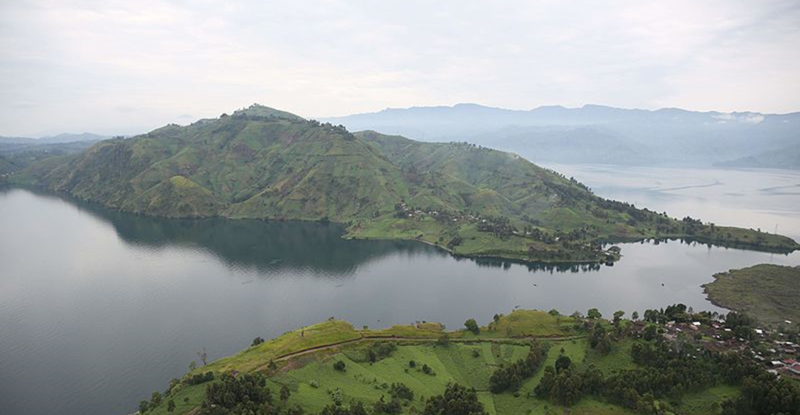 This PhD thesis analyzes and compares the development of the coffee sector on both sides of Lake Kivu, in the Eastern Congo and Western Rwanda, during the colonial period. The Kivu region offers a remarkable case-study to investigate diversity in economic development. In Rwanda, on the eastern side of the lake, coffee was mainly cultivated by smallholder families, while in the Congo, on the western side of the lake, European plantations were the dominant mode of production. The dissertation builds upon a wide array of largely untapped archival sources: administrative records revealing the relationship between the state and local actors or detailing on land and labor issues, as well as personal letters, quantitative data and legislative documents. The thesis is framed within the concept of commodity frontiers. By focusing on the production of one specific commodity, the reorganization of geographical spaces at the margins of the world-system is examined (Moore 2015). Commodity frontiers transformed existing land and labor patterns and were very effective in the rise of capitalism because “a relatively small volume of capital, backed by territorial power, could appropriate a very large basket of nature’s gifts” (Moore 2010). To improve our understanding of the emergence of diverse modes of production and variegated roles of local actors, the thesis places the Lake Kivu case in the broader context of Empire. As noted by Burbank & Cooper (2010), Empire thrives on existing political, social, economic, cultural diversity which means that changing sets of rules and various strategies are used in different places at the same time. Empire is the result of negotiation, adaptation to localities (Cooper 2014) and reconciliation of actors with different and often opposing interests. This study argues that coffee production in the Lake Kivu region developed and evolved not only due to existing local differences between areas east and west of the lake (precolonial land tenure, demographic), but also as a result of compromises between, and feedback from, several actors involved (administrators, plantation owners, African chiefs and coffee producers). Despite harmonizing tendencies inherent in capitalism, these two factors – difference and compromise – resulted in two main diverging coffee production systems (plantations and smallholders) and, consequently, in dissimilar ways of mobilizing and commodifying labor and land. On a global scale Belgian Africa’s share in coffee production (Arabica and Robusta) doubled from 1% at the end of the 1930s to about 2.1% in the late 1950s (while global production multiplied by 1.5). The Kivu region cultivated about 75 to 80% of the Arabica produced in Belgian Africa. Between the Belgian Congo and Ruanda-Urundi the coffee sector diverged significantly. As Figure 1 and Figure 2 indicate, Ruanda-Urundi developed as the mirror image of the Congo. At the end of the colonial period, European plantations in the Congo produced some 52.000 tons (in Ruanda-Urundi only about 500 tons) whereas in Ruanda-Urundi, African smallholders produced some 25.000 tons (in the Congo only about 2500 tons). 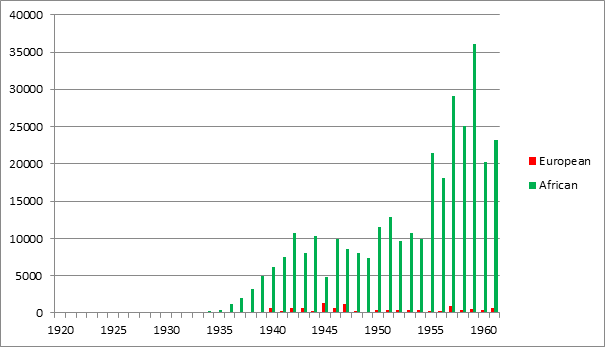 Figure 1: Total coffee production (tons) in the Belgian Congo (1920-1958). 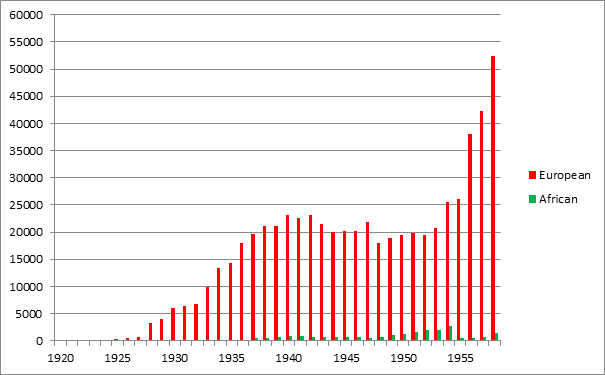 Figure 2: Total coffee production (tons) in Ruanda-Urundi (1920-1961). The divergence between European plantations to the West of Lake Kivu and smallholders to the East is explained by local differences, three factors in particular. Firstly, Rwanda was more densely populated than the Eastern Congo. Hence, the installation of a plantation economy was more difficult. Secondly, in Rwanda, an existing hierarchical, individualized land tenure system formed the basis of smallholder coffee cultivation. Thirdly, the mandate structure of Ruanda-Urundi impacted the development of divergent production systems in the sense that Belgium had to preserve existing customary systems better in Ruanda-Urundi which resulted in the continuation (albeit modified) of a smallholder economy. Different production systems resulted in different ways of using land to produce coffee. In the Eastern Congo, a parastatal entity controlled and distributed land to plantation owners. In order to cope with labor shortage in the plantation economy, the colonial administration created a new Congolese chieftaincy (Gishari) which both served to extract Rwandans from the densely populated mandate and to satisfy the labor demand of the plantation sector. In Rwanda, precolonial land institutions determined the evolution of the coffee sector during the colonial period. Before colonization, an individualized land tenure system existed in Central-Rwanda. In the colonial period, this system was gradually expanded by the mandate bureaucracy (Vansina 2004). Consequently, lineage land tenure in other parts of Rwanda was gradually eroded and land tenure evolved towards individual property throughout the territory. Not only the way land was used to produce coffee differed, but also the way labor was mobilized. Labor mobilization in the Eastern Congo plantation economy was mostly unfree. People sometimes entered voluntarily (in order to escape corvées for instance), but mostly chiefs or the colonial state forced people into plantation labor. Conversely, in Rwanda, labor mobilization rested more on precolonial labor systems. Even after the start-up period, Belgium relied heavily on African (sub)chiefs and existing patterns of labor (Newbury 1988) to recruit and control rural cultivators. Finally, similar to other colonies, in both the colony and the mandate, the imposition of taxes and the monetization of customary duties/tributes pressed people to earn a cash income and thus indirectly forced them into coffee labor. In both the plantation economy and the smallholder sector labor treatment was often harsh. For instance: violence, insults, fines and chiefs abusing their power were widespread, especially before the end of World War II, and tolerated by the colonial state. After the war, labor conditions improved and the state became more inclined towards ‘development’ instead of mere extraction. For example, minimum wages were introduced as a result of negotiations between plantations owners and the administration. In Rwanda, coffee cooperatives were allowed to develop. However, low levels of remuneration continued and living standards hardly increased throughout the colonial period. Africans provided important feedback that contributed to the development of coffee production in the Lake Kivu region. Much of this feedback was cross-border. ‘Weapons of the weak’ (Scott 1985), such as resistance, sabotage and migrations (for example, to Uganda) were commonly used by African coffee producers to escape or cope with often severe treatment and low wages. People also reacted to the entrance of capital in other ways: coffee workers reorganized subsistence activities (for instance by combining wage and subsistence labor), they made use of markets to increase incomes and they continued to trade (especially food products) despite the delineation of a border between the Congo and Rwanda. Burbank, Jane, and Frederick Cooper (2010). Empires in World History. Power and the politics of difference. Princeton; Oxford: Princeton University Press. Cooper, Frederick (2014). Africa in the world: capitalism, empire, nation-state. Cambridge: Harvard University Press. Moore, Jason W. (2010). “Madeira, sugar, and the conquest of nature in the “first” sixteenth century, part II. From regional crisis to commodity frontier, 1506–1530.” Review (Fernand Braudel Center) 33(1): 1-24. Moore, Jason W. (2015). Capitalism in the web of life. Ecology and the accumulation of capital. London; New York: Verso. Newbury, Catharine (1988). The cohesion of oppression. Clientship and ethnicity in Rwanda, 1860-1960. New York: Columbia University Press. Scott, James (1985). Weapons of the weak. Everyday forms of peasant resistance. New Haven; London: Yale University Press. Van Melkebeke, Sven (2017). “‘Changing Grounds’ : the Development of Coffee Production in the Lake Kivu Region (1918-1960/62) : the Colonial State, Labor, Land and Production for the World Market.” PhD thesis Ghent University. Vansina, Jan (2004). Antecedents to modern Rwanda. The Nyiginya kingdom. Madison: University of Wisconsin Press.